⚠ NOTE: Never uses it to extract gasoline or alcohol! 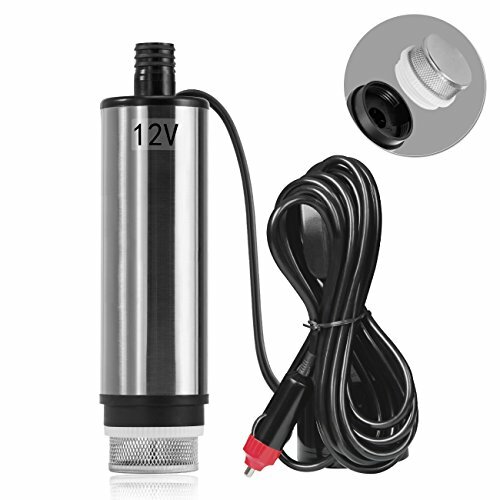 • High quality motor which adopts copper cable to provide a stable operation and high efficiency. • Stainless steel body, anti-corrosion, light weight and durable. • Total diameter of the pump is 51mm, while the water outlet diameter is 19mm, which is suitable for the water pipe of 16-19mm. 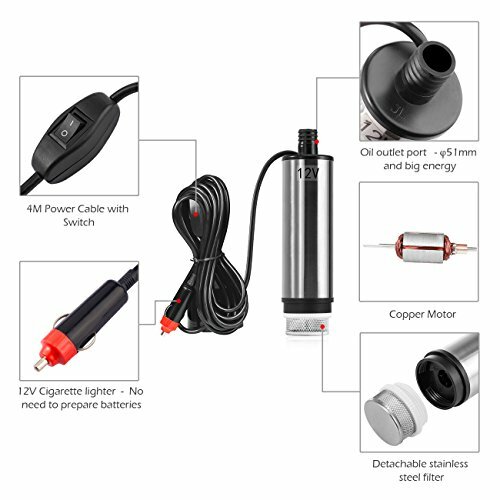 • Car kit oil extractor which is compatible with DC12V car kit power, and equipped with one power switch to control. • The stainless steel filter net can keep the Impurities away, never rust. And the detachable screw adapter allows for cleaning the filter easily. • This oil pump is compatible with diesel, kerosene or water, but never uses it to extract gasoline or alcohol! • This oil pump should work less than 20min every time, then stop for 10-15min to work again. Do not idling without any oil passed. 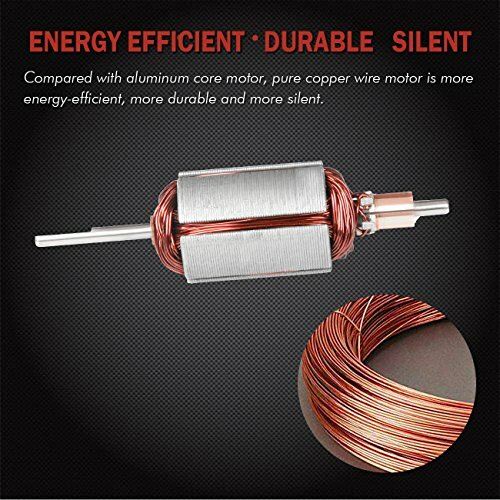 【High Quality Motor】-The motor adopts copper cable to provide a stable operation and high efficiency. 【Stainless Steel Body】- Made of high quality stainless stell, it is anti-corrosion, anti-rust,light weight and durable. 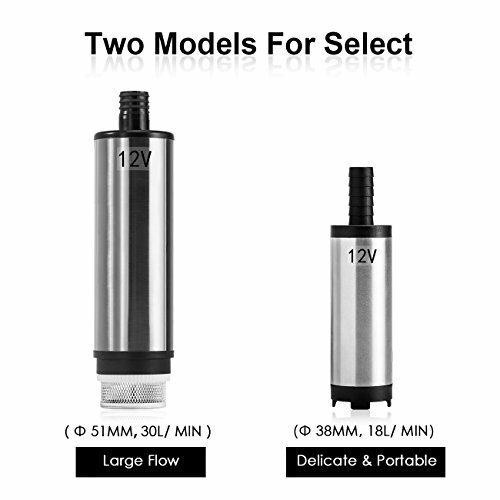 Total diameter of the pump is 51mm, while the water outlet diameter is 19mm, which is suitable for the water pipe of 16-19mm. 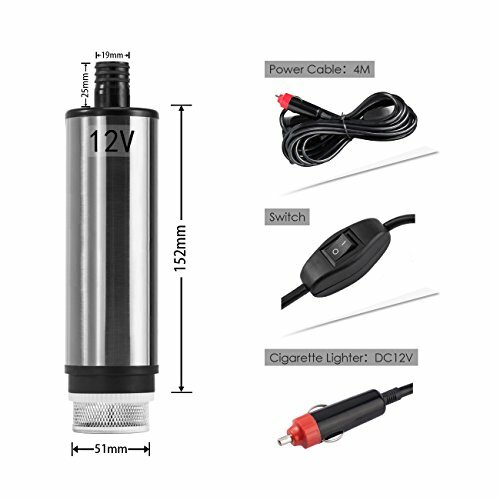 【Easy Operation】-Car kit oil extractor which is compatible with DC12V car kit power, and equipped with one power switch to control. 【Easy Use and Easy Clean】The stainless steel filter net can keep the Impurities away, never rust. And the detachable screw adapter allows for cleaning the filter easily. 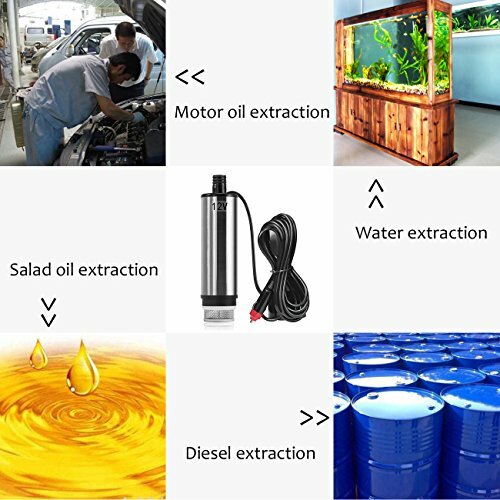 【Widely Used】-This oil pump is compatible with diesel, kerosene or water. NOTE: Never uses it to extract gasoline or alcohol!